The Saturdays’ Frankie Sandford has given birth to a healthy baby boy. The singer announced on Twitter today that she and footballer fiance Wayne Bridge have welcomed baby Parker into the world, marking their first child together. 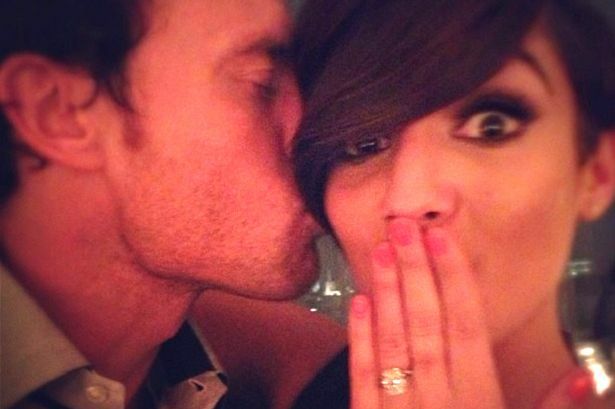 “So unbelievably happy for @FrankieTheSats & Wayne on this incredible day! I need to meet little Parker, I can’t wait! I love him already”. “a massive congratulations to you and Wayne!! I’m so excited to meet Parker!! !” wrote Vanessa White, while Rochelle Humes gushed: “Massive congrats to @frankiethesats and Wayney! The best text to wake up to this morning…lock up your daughters Parker Bridge has arrived”. Frankie is the third member of the girl-band to become a mother, after Rochelle and Una. The band’s new album Living For The Weekend was also released this week.